Do mediums have a different color aura than the rest of us? And can truly gifted empaths see auras around EVERYONE….or it only the very vibrant or strong personality types that have them? According to many reliable scholars, aura colors consist of vibrations. 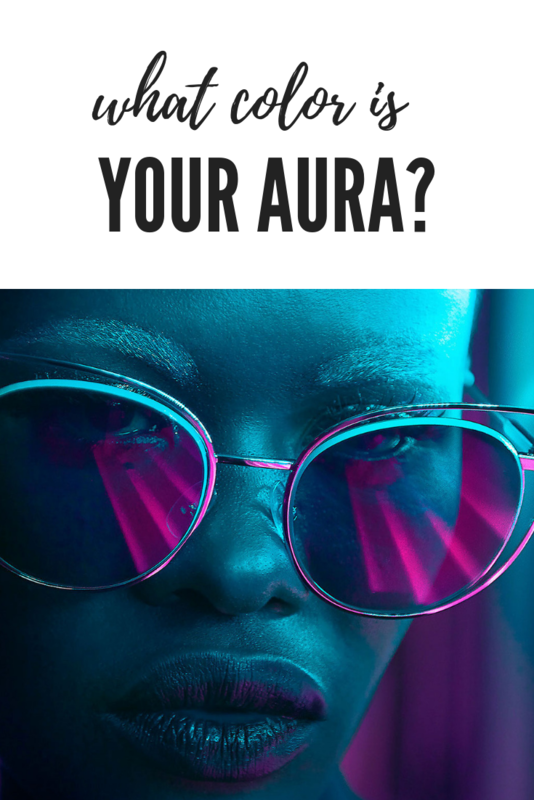 Answer these 10 questions and discover your aura color. 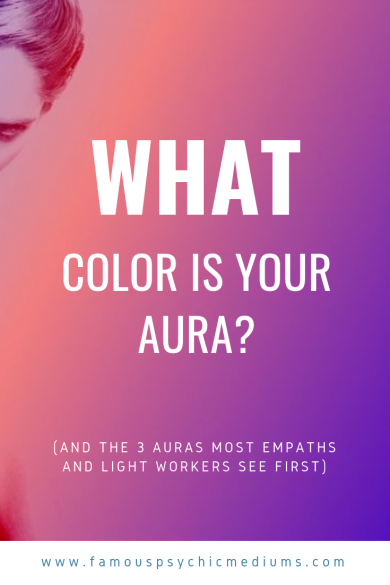 What color is your aura? And does it matter? Are some aura’s suggestive of different spiritual superpowers….or do they simply change according to your mood? Do mediums have a different color aura than the rest of us? And can truly gifted empaths see auras around EVERYONE….or it only the very vibrant or strong personality types that have them? For those of you trying to sense or see an aura for the very first time, here is a simple exercise that works wonderfully well for beginners. Without taking your eyes off the forehead, gently scan and track the perimiter edges of the head, shoulders and arms, so that you’re actually creating an imaginary outline. If the white around these areas is brighter, you have just witnessed the presence of an aura. Don’t fret if it doesn’t automatically work – or feel totally comfortable. This takes practice…..EVEN if you’re naturally gifted, or have strong empathic talents. It’s a whole lot easier to sense a person’s aura. Standing face to face with the person whose aura you are going to feel, place the palms of your hands six to eight inches away from the top of the person’s head. Continue to keep that distance and slowly move your hands down the body, not only at the sides, but also around the entire body. Eventually, you will recognize a tiny fluffy effect as you work your way down the body. It will feel almost like you are squishing your hands into a feather-light pillow. This is the electromagnetic energy. So, if you can feel the aura, but you cannot see it, how do you know what the aura color is? 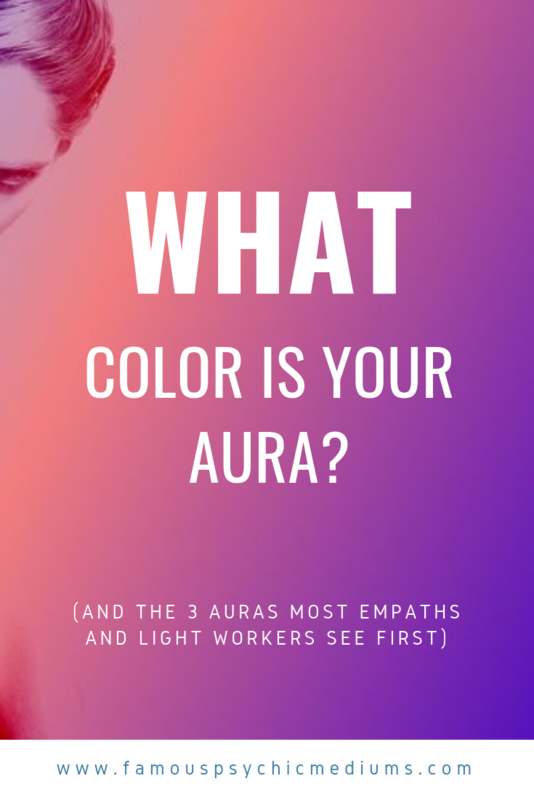 The following 10 questions from this brief aura-color test will put you on the right path.